Originally presented as lectures to Benedictine novices almost forty years ago, this book conveys an immediacy and relevance that must draw any reader, monastic or not, into the neighborhood of ideas and culture that has so often rejuvenated and renewed the wider Christian community. We are in the presence of a great teacher in the pages of this book, a teacher who offers countless insights into fundamental elements of Christian spiritual practice - reading, meditation, compunction, tears, biblical exegesis -- while never detracting from the two great themes indicated in the title. 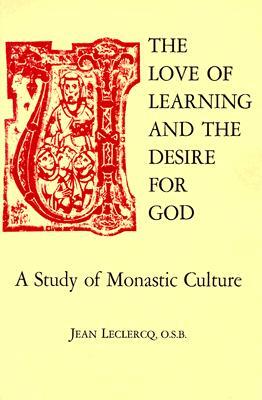 The range of this study is astonishing; Leclercq can discuss the origins and meaning of grammar on one page, and on the next be exploring the ''fellowship of the angels'' as an image of monastic life, yet there is never a sense of randomness or discontinuity. We heartily affirm the comment on the back cover that this book is ''the single indispensable guide for the study of monastic spirituality in the medieval West.'' This is scholarship which bears the scent of paradise, not only investigating, but nurturing within the reader ''the love of learning and the desire for God.'' 282 pp.